Oxford offers a wide variety of worship and welcomes visitors. St. Paul's Episcopal Church- 34 East Main Street, Oxford, NY. The 150 year-old stone church (with the warmth of God's forgiving love at it's heart) invites you to join us for our weekly Sunday service or to have quiet, contemplation & prayer time. All buildings are accessible for wheelchairs. Faith Bible Church- PO Box 128, 45 Butler St, Route 220W, Oxford, NY. 9:30 am -Sunday Bible School; 10:30 am -Morning Worship; 7 pm -Evening Fellowship. Wednesday: 7 pm - Prayer Meeting and Bible Study. Faith Bible Church is a friendly family fellowship of Christians committed to teaching the whole counsel of God as found in his inspired word the Bible. Visitors are welcome at every service. United Church Of Oxford-Fort Hill Park, Oxford, NY 13830. Pastor: Rev. Linda Rackliffe; 843-5195. Francis Wilcox, Organist/Director. We invite you to worship with our friendly members on Sundays at 10:30 am, 10am June through August. There are three adult classes -the Needlers, a craft class meets at 10am; The Pastor's class meets at 9:30am; an Adult Bible Study class meets at 8:30am. 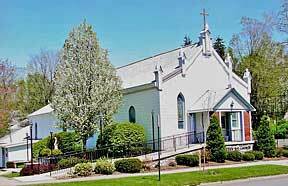 Oxford United Methodist Church: 36 South Washington Ave / PO Box 506, Oxford, NY 13830. McDonough Sunday Services: 9:00 a.m. Oxford Sunday services begin at 11:00 a.m. Nursery care is available. Bible Study/Book Study meets weekly. Contact Dawn Race 607-843-6338 [Oxford] or Nina Rolles 607-647-5093 [McDonough] for more information. Oxford Prayer Night - 1st Sunday of the month @ 6 PM. Come and find a quiet center! Come into a circle of healing and wholeness through shared faith. 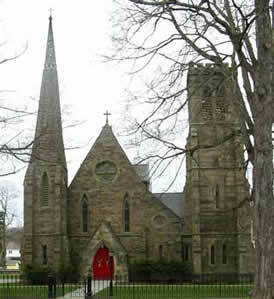 The Oxford / McDonough United Methodist churches are located in the Oneonta District of the Upper New York Annual Conference of the United Methodist Church. The people of the McDonough /Oxford UMC are a praying and welcoming community seeking to grow in relationship with God and each other by our worship, study, and service together. Check us out on our Facebook page – Oxford.NY.UMC. St. Joseph's Catholic Church- 3 Scott Street, P.O. Box 352, Oxford, NY. Pastor: Father Thomas Ward. 843-7021 or 656-9546. 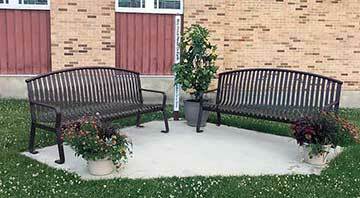 Weekday Masses are Tuesday through Thursday: 6 am and Friday 11 am at the NYS Veterans Home. Confession is Tuesday through Thursday 5:15 or by appointment. We welcome new parishioners; for more information call Parish Office 843-7021 or email us at info@stjosephsoxfordny.com.